Real-life re-eneactment of Lance in the program. 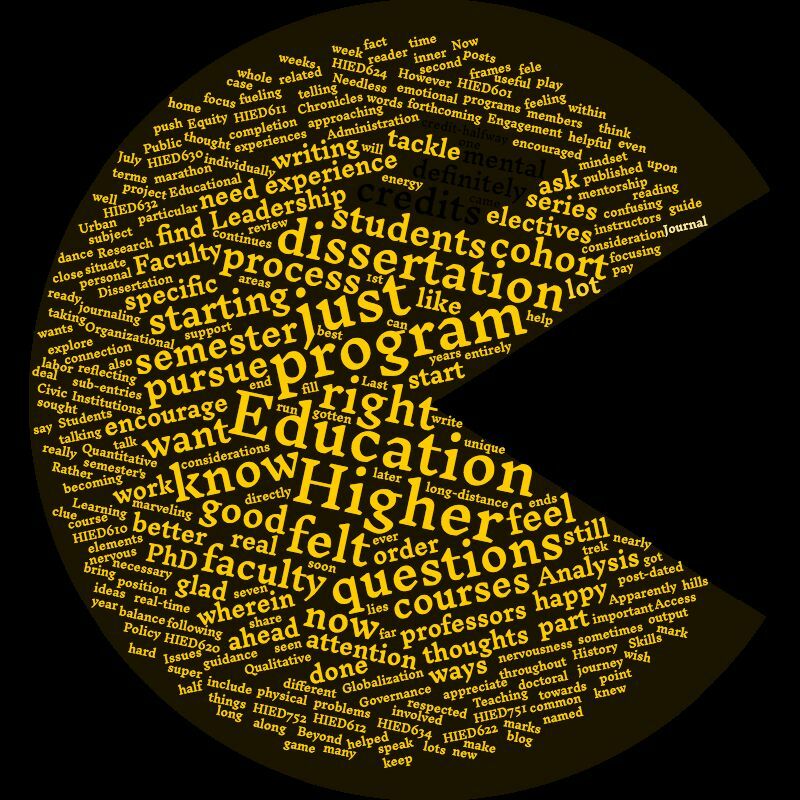 What lies ahead are courses directly related to the dissertation process or electives to help fill in areas I need for the dissertation. In order words, when this semester ends, I'll be on really starting to focus on my dissertation and while I knew this process would start, I'm just marveling at the fact that it is starting within weeks. Now, if you've been reading the blog, you know that I've been doing my share of writing and reflecting on my forthcoming dissertation (for the new reader, the series of posts named: The PhD Chronicles is post-dated one year from when I write them while the Dissertation Journal sub-entries of this series are published in real-time; just to make things confusing, eh?). I felt it was important to start writing about it soon than later even if I didn't have any clue what my specific thought would be. It's been super helpful in focusing me and between journaling and talking about my ideas with my cohort members and my professors, it continues to fele like the right project to pursue. And now that we're approaching the process, I'm glad that I have done this as I feel in a good position. I'm still nervous about the work ahead but it's like the nervousness before a long-distance run that I want to do a personal best at. I feel ready to tackle the physical (in this case, mental) labor but also know that there's still a mental and emotional long game to play that I will need to pay close attention to in order to keep me at the right energy output along with the right balance of fueling throughout. There is definitely a part of me that just wants to do a happy dance as 36 credits mark the credit-halfway point in this trek and while I know the second half of this marathon has a whole lot of hills, I know I've gotten out this far, now it's just time to bring it home. Beyond those inner thoughts, the other part that's becoming more real is the connection and mentorship from faculty. I have definitely felt elements of this while taking courses by each of them and seen the ways in which they sought to encourage and push us as a cohort and individually. However, now as I'm starting to talk with specific professors about the particular problems I want to tackle, I feel and appreciate their guidance and support. Last week, the cohort was involved with a review of the program that is done ever seven years. We got to speak about our experiences with the faculty in the program and I came to find that my experience was not unique (to which I was happy). Faculty in this program are not of a mindset of telling students "no" in terms of what they want to pursue. Rather, they work hard to encourage students and guide them to how to ask the right questions for that which they wish to pursue. I've felt this has been useful a lot for me wherein I think I can sometimes having lots of different thoughts but not necessary good questions to explore the subject. All of my instructors have helped me to not just ask better questions but to find better frames upon which to situate those questions. 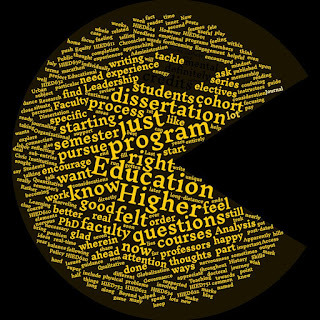 Apparently, the attention and consideration by doctoral faculty that we experience is not entirely common and that there's a good deal of programs out there wherein students considerations aren't nearly as well respected or encouraged. Needless to say, I'm glad that I'm in this program.